What is 3D printing about in O&P? I keep hearing about 3D printing in orthotics and prosthetics. How does that work? - Paul W.
Paul, what a great question! This is a very exciting time for 3D printing in Orthotics and Prosthetics and one of our favorite subjects. Most people think that 3D printing is relatively new. The truth is that it was started in 1980 when Hideo Kodama first described a layer by layer approach to manufacturing. About four years later a French team filed a patent for the stereolithography process (later to be re-named as 3D printing). They later abandoned their efforts, saying they just couldn’t find a viable market for this process. At about the same time, Chuck Hull filed his own patent for a stereolithography fabrication system. Through the ’80s, with much work and experimenting, 3D printing moved from its infancy and childhood to its adolescence. Though there are certainly others, three main printing methods have emerged: SLA - which uses a photo-sensitive liquid polymer; SLS - fuses material in a powder form; and FDM - deposits heated filament on a build plate to create objects layer by layer. One of the things that make 3D printing so appealing is the possibility to design, alter and customize objects. This has led to manufacturers using it to create prototypes in a much more efficient and timely manner. In the world of prosthetics almost everything is custom built for an individual patient - making 3D printing a very useful tool. In the last decade, groups like e-NABLE began creating, through open-source collaborations, hands for people who were missing fingers. This has sparked the hope for customizable, lower-cost prosthetic devices. 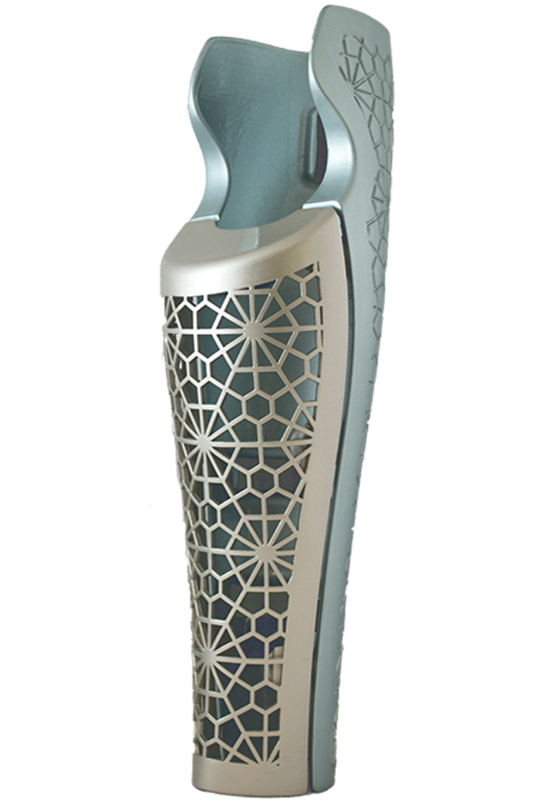 Often when a prosthetic leg is made, the patient wants a shape that resembles a real leg. This is most often done by encasing the metal tube that connects the foot to the rest of the socket with a foam material and sanding it to a leg shape. It can then be covered with a stocking or an artificial skin. This is known as a cosmetic cover. 3D printing has given rise to a market for personalized cosmetic covers for patients who aren’t as interested in natural-looking devices or really want to have an artistic way to express themselves. Dankmeyer began their adventure in 3D printing in 2013 with the purchase of their first printer. 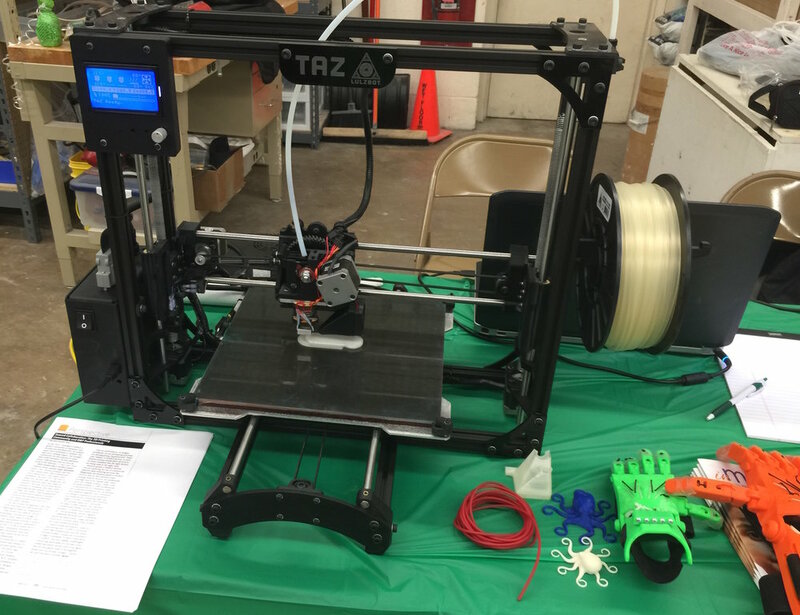 Several people began the process of learning to design 3D objects as well as run the printer. That year also saw a number of staff members participated in an e-NABLE sponsored event where a number of pre-printed hands were assembled. 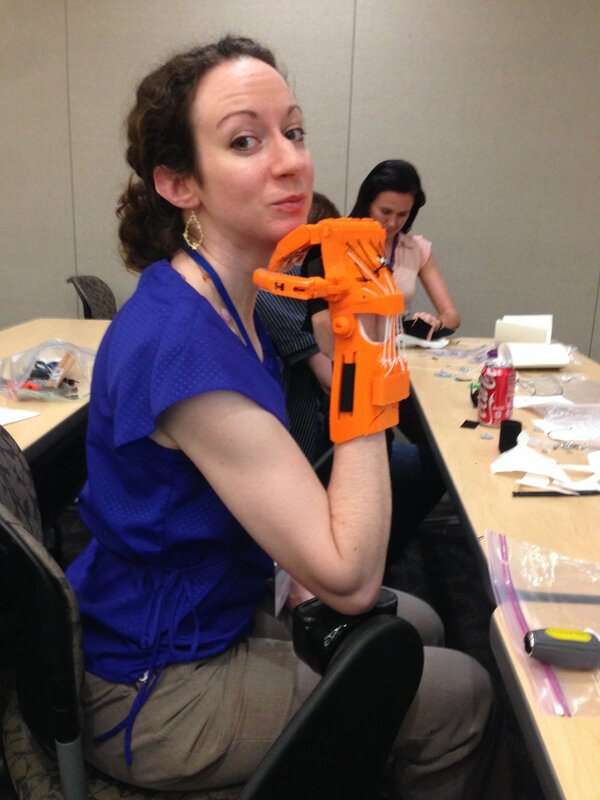 The first real foray into creating a 3D device was for a patient who was less than pleased with the prospect of needing to wear a “traditional” prosthetic hand. We designed and produced an Ironman-inspired hand for him. The movie was in the theaters at the time and he was definitely a fan. We later made him a Batman version as well. The next hand we produced was for a baby born with a defect to his right hand. He was beginning to crawl and his parents thought it was important for him to become used to wearing a prosthetic early enough that it would just be normal as he grew up. You can read more about this device and see pictures on our 3D Printing page. Click here. If you are interested in seeing a video we made as an introduction to 3D printing, just click on the video link below.